This is the 2nd Nagoya International Symposium on Neural Circuit. How does a brain dynamically process information in a noisy and fluctuating environment? This international symposium focuses the neural circuits of model animals to explore the basic principle as to how neural circuits are functionally organized. 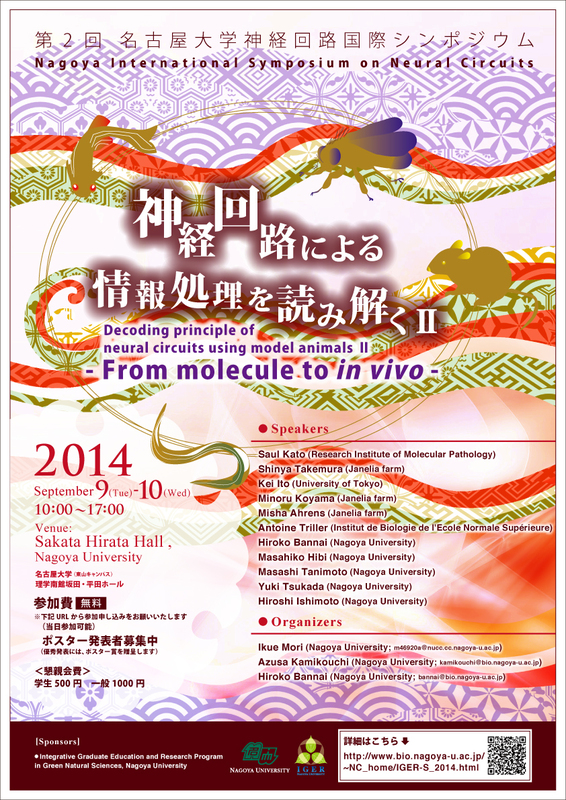 1st Nagoya International Symposium on Neural Circuit was held in March 2014.